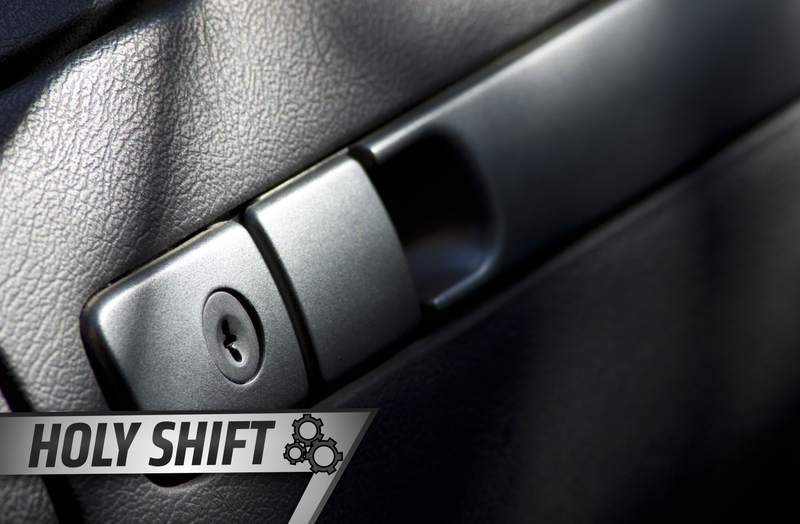 For those with the slightest knowledge of cars, it isn’t hard to guess where glove compartments came from—the original function is even in the name. The glove compartment was one of several strange features for clothing storage in early cars, and, unlike the others, it stuck around—expanding its usage over time. Thrillist attributes the actual term “glove compartment” to a female race-car driver named Dorothy Levitt, who was also a mechanic and airplane pilot. 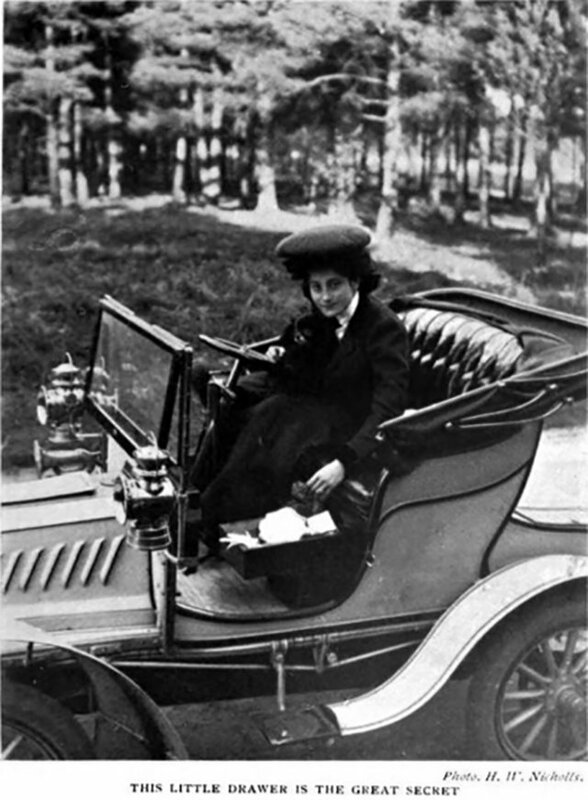 She gave some early advice for use of the glove compartment, which was that people would find room for their gloves “in the little drawer under the seat of the car. This little drawer is the secret of the dainty motoriste.” This picture illustrates the concept. The National Automobile Museum in Reno, Nev., says the 1900 Packard-style glove compartment was quickly adopted by other early automakers. The 1902 Oldsmobile Curved Dash Roundabout had a leather satchel nestled into its dash that was held closed with four buckles. The 1903 Duryea had a box built into the dash, opening on top instead of in front with a decorative iron rail on the lid. Other automakers included baskets, hampers, and trunks for storage, and by the 1930s, glove boxes had become standard equipment. Some glove compartments even acted as food trays before cupholders came around, according to Slate. They worked well while the car sat still, but the jostling that came with a car in motion made them useless for anything other than drive-through movies or stationary activities. Perhaps the weirder part of early car history is that storage for gloves wasn’t the only thing put in luxury automobiles. According to NBC, some early Cadillac cars came with rails for storage of robes to keep warm. The trend kept on into the 1950s, and the automaker made that into an opportunity for some extra cash by selling monogrammed robes as an accessory with its new cars. Back in the realm of the glove compartment, trends got wild—the 1957 Cadillac Eldorado Brougham came with came with a cocktail set and shot glasses, and Dodge made a feature that mirrored the glove compartment called the “Chill Zone” in 2006. It was for refrigerating drinks, and it worked—while the car was turned on. Park the car and cut the air conditioning on a hot day, and you would return to some exploded cans. But, for most people, the glove compartment is there for the necessities—the manual, the insurance, the important papers needed when getting pulled over. It’s sort of returned to its original intent—storing things necessary for driving, which evolved from weather protection to protection from unwanted hiccups in a commute.